The elegant 4You Two-Door Wardrobe – White from the 4You collection by Vox is a spacious wardrobe featuring clean-lined design and a unique alcove. The 4You Two-Door Wardrobe embodies inspiring functionality, creativity and a perfect arrangement of space. 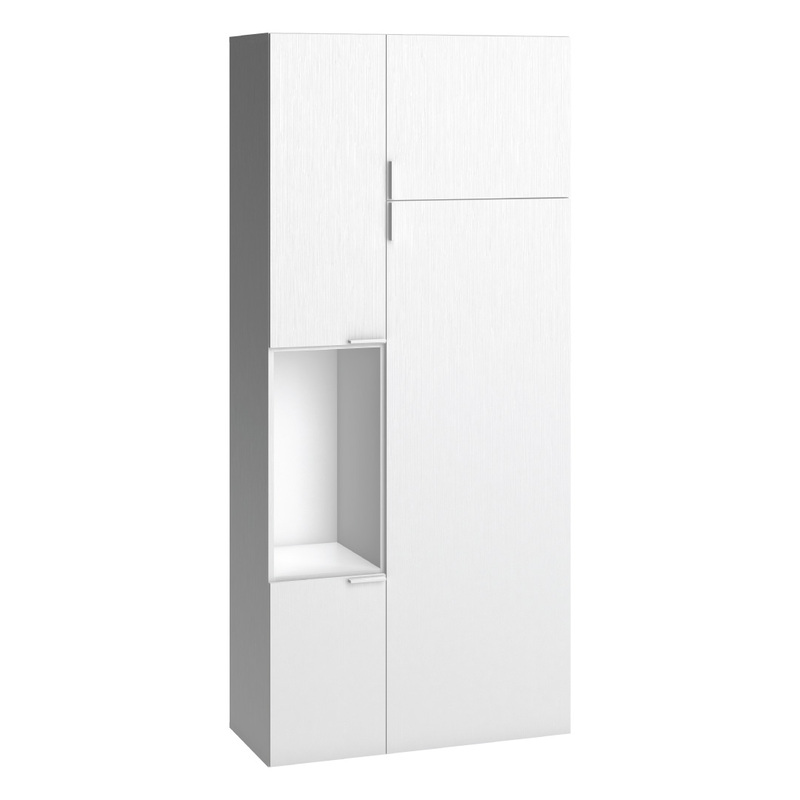 This tall wardrobe (2 metres plus) has two doors opening to ample packing and hanging space with spacious shelves on both sides as well as a rail. The left side of the wardrobe has four shelves, of which three are height adjustable. A unique feature of this wardrobe is the open alcove, with two doors opening above and below it. 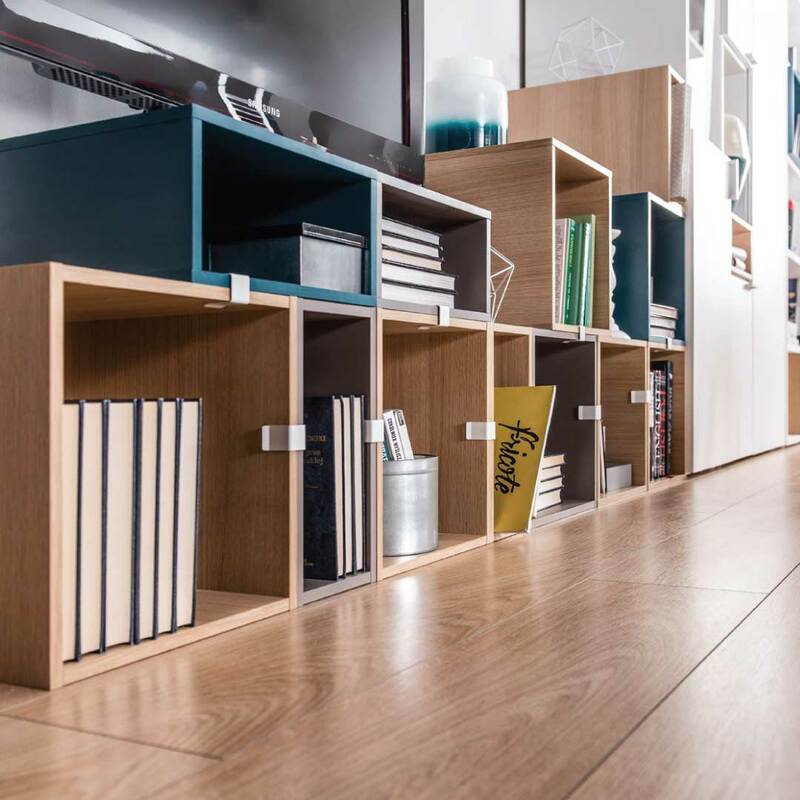 The alcove can be fitted with an combination of the 4You Chests – two large or four small ones fit the opening – for neat storage and an added decorative element (chests available separately). The right side has two shelves, one at the top and an adjustable one at the bottom. An extendable rod for hanging clothes is suspended underneath the top shelf. For additional functionality, the 4You Tall Side Wall Bookcase can be mounted on either side of the wardrobe for a complete storage solution.